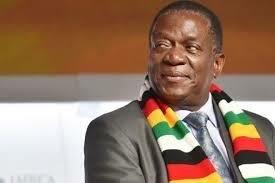 In a significant development which could signal the beginning of fresh dialogue to normalise politics in Zimbabwe, President Emmerson Mnangagwa says he is open to talks with opposition leader Nelson Chamisa, the Daily News can report. “There was an extraordinary amount of goodwill which they fluffed. One hopes that goodwill still subsists ... but anyway, now that they have given that indication, let’s wait for the commission to make its recommendations and then move forward and see how this action pans out. “I am realising that slowly sobriety is coming ... but also with a good dose of common sense, which means we can now engage. “Let’s wait until the commission makes its recommendations and we will then see what the commission decides in its infinite wisdom about the proposals from the MDC Alliance, through its leadership ... if it does, we will take it in our stride. If it doesn’t, then so be it,” Charamba said. had failed to provide evidence that he had won the election.